Feeling overworked, overwhelmed, and desperate to live a healthier lifestyle with more energy? 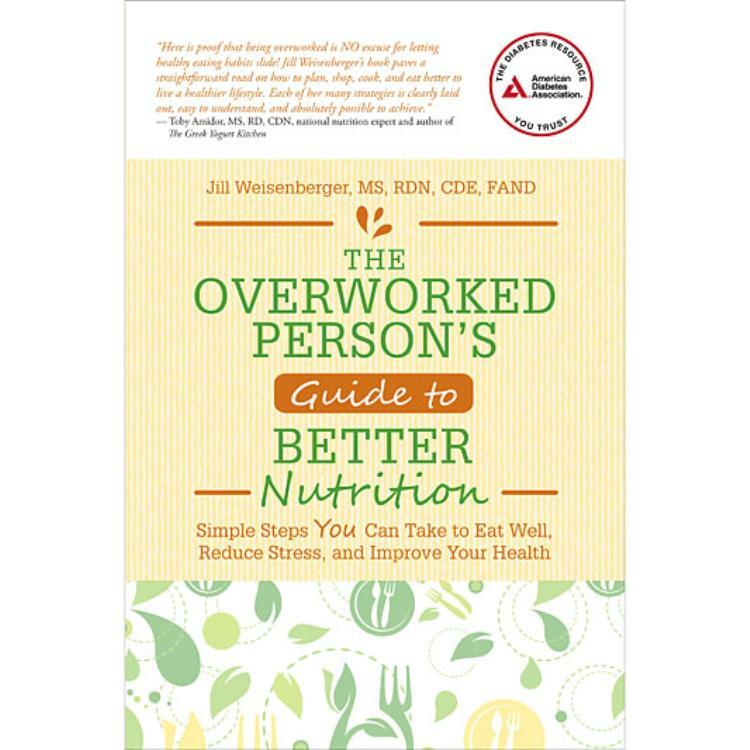 In The Overworked Person's Guide to Better Nutrition, you will find what you need to help you gain control of your health and incorporate healthy eating and better habits into your busy lifestyle. 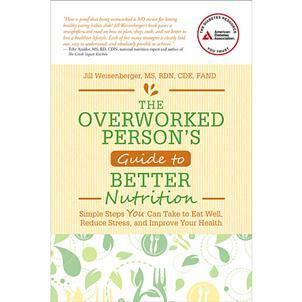 Jill Weisenberger, an expert in the field of nutrition and time management, gives you the tools you need to get organized and implement strategies for better health. From organizing your kitchen, to daily diet tweaks, to exercise, you'll learn easy-to-follow strategies to improve your eating habits, manage stress, and improve your overall health. Just trying to see about this book regarding how folks with diabetes can really get the most out of it. Most diabetics have a combination of illnesses and you have to be mindful of them all. I don't see that this book addresses that to even make it worthwhile to purchase it. Can you put an example out there of a typical day on what we should and should not be doing????? Most of the things that I see in the diabetes books only address diabetes and not the other related illnesses that are with it.